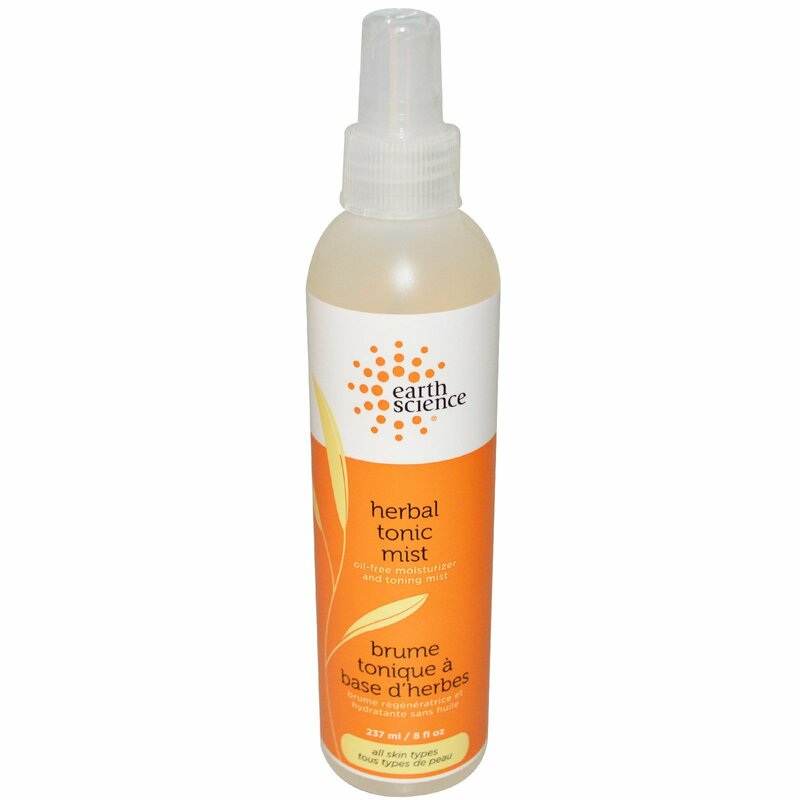 Freshen, cool, and energize your skin with this completely natural, ultra-pure herbal mist. Contains the highly effective extracts of Raspberry Leaf, Aloe Vera, Calendula, Sea Kelp, Chamomile, Comfrey and Fennel. Also contains special "ultra-moisturizers" such as Panthenol, Sodium PCA and rare Hyaluronic Acid to hydrate and improve the skin's appearance while protecting it from the drying effects of the sun. 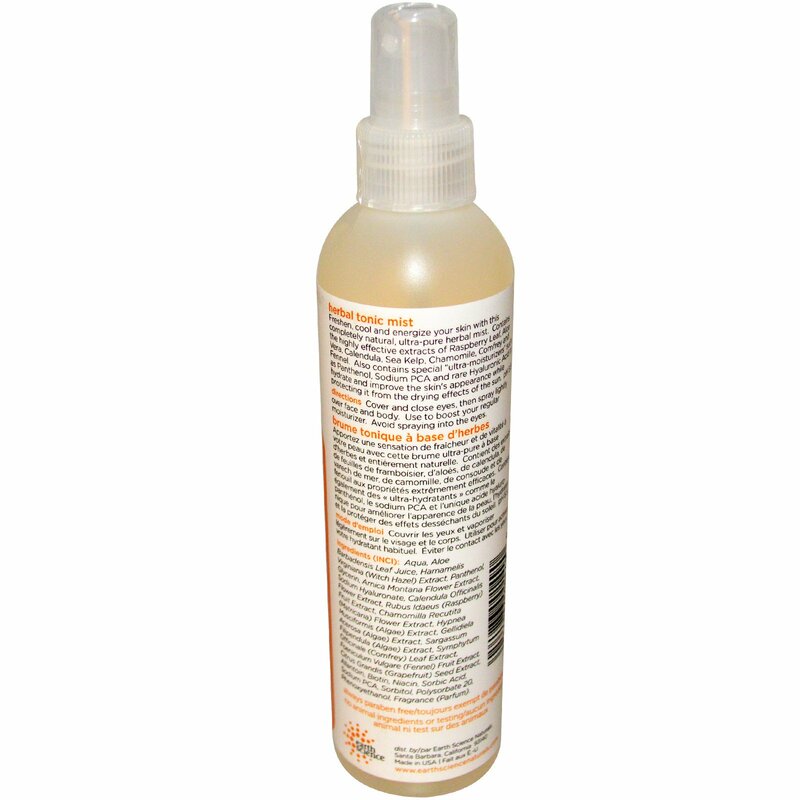 Cover and close eyes, then spray lightly over face and body. Use to boost your regular moisturizer. Avoid spraying into the eyes. Aqua, aloe barbadensis leaf juice, hamamelis virginiana (witch hazel) extract, panthenol, glycerin, arnica montana flower extract, sodium hyaluronate, calendula officinalis flower extract, rubus idaeus (raspberry) fruit extract, chamomilla recutita (matricaria) flower extract, hypnea musciformis (algae) extract, gellidiela acerosa (algae) extract, sargassum filipendula (algae) extract, symphytum officinale (comfrey) leaf extract, foeniculum vulgare (fennel) fruit extract, citrus grandis (grapefruit) seed extract, allantoin, biotin, niacin, sorbic acid, sodium PCA, sorbitol, polysorbate 20, phenoxyethanol, fragrance (parfum).